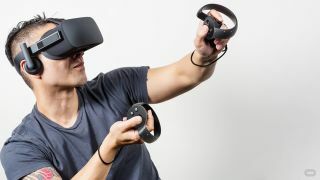 Oculus Rift has just witnessed an update to its software which heralds the arrival of full room-scale VR on the platform, and it's apparently aiming to outdo HTC's Vive. An update to the Oculus Home software has introduced support for up to four tracking sensors, meaning that when the Oculus Touch controllers officially come out (with over 30 games being playable from the get-go) later this year, gamers will be able to have an accurate and immersive full room-scale experience. Some argue that two sensors are just fine (that's what the Vive uses), and there's no need for the full four which will apparently be supported, but as TechCrunch (and other commenters online) has observed testing out the Rift with Touch, tracking can be glitchy using just a pair of sensors, particularly when you turn around and are facing away from them. By all accounts, the tracking with four sensors is pretty impressive and on the mark in terms of accuracy. There are the other issues to note, of course, including trailing USB cables for these four sensors – setup will be more complicated, certainly – and indeed you can't yet purchase extra sensors anyway. But still, it's good to see where Oculus Rift owners will soon be headed in terms of a fuller VR experience. In other recent Rift news, the headset was previously plagued by shipping delays, but earlier this month the makers announced that these had been put to bed, and orders will now be shipped within two to four business days guaranteed. That said, shipping delays probably aren't the foremost problem on many gamer's minds – there'll be far more folks keeping their eyes out for a decrease in the asking price.